Chile has been defined as a New World country regarding its wines, but during my recent visit, I found notable examples of Old World appeal and sophistication in the wine country. Santa Rita, one of the country’s best-known wine estates, is an ideal example of that allure. 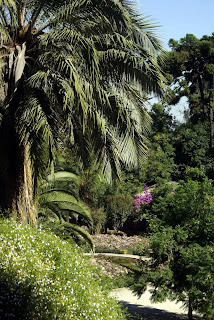 Founded in 1880, Santa Rita is located in the Alto Jahuel area of the Maipo Valley, about 45 minutes southeast of Santiago, the country’s capital city. 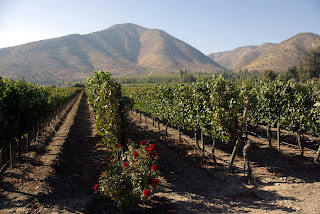 While the Maipo Valley is famous for the class and breeding of its wines (especially red), it is this area known as the Alto Maipo that is home to the most complex, longest-lived Cabernet Sauvignons and other red wines. Vineyards here are situated at 1200-2000 feet above sea level and provide ideal conditions for full-bodied reds, given the naturally limiting yields and the cool temperatures that mean extra hangtime. What I love about Santa Rita is the care and attention to detail the owners have brought to this estate. 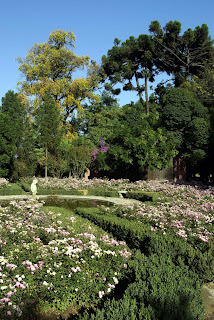 Stroll the grounds and you’d think you were in the 1880s, as you sit on the veranda of the hotel and take in the beauty of the 100-acre park with its array of chestnut, almond, olive and cedar trees standing alongside a marvelous collection of mythological statues and an impressive chapel. Few wine estates I have visited in the world offer an entrancing atmosphere such as this. Additional beauty is found by simply driving into the estate alongside the vineyards. The Alto Jahuel Mountains provide a dramatic backdrop and many rows are fronted by huge red roses. How can you not have positive thoughts about the wines produced here when you experience nature in this fashion? As for the wines themselves, Santa Rita has several ranges, all well made. The entry level is called “120,” which is named for 120 Chilean patriots who led the fight for the country’s independence. These are $8-$9 retail wines in the US and while there are several other Chilean producers that also make wines at this level, few do it as well as Santa Rita. Particularly nice are the 2008 Sauvignon Blanc with pleasant melon and spearmint flavors and the 2007 Cabernet Sauvignon with good varetal character and a clean, lightly tannic finish. I won’t go through all the wines here, but there are excellent examples in every category. For the Reserva line, the 2008 Sauvignon Blanc from Casablanca Valley and the 2007 Carménère from Rapel Valley are especially noteworthy. The Medalla Real wines, priced in the $18-20 category are especially elegant and complex; the 2006 Cabernet Sauvignon from Maipo (much of it from the Alto Jahuel estate) and the 2007 Carménère from Colchagua are beauties; each displaying elegance, spice, complexity and a great deal of class. Winemaker Andrés Ilabaca deserves a lot of credit for crafting so many fine bottlings in so many categories. Of course, the agronomists and Mother Nature have a lot ot say in the final product as well, but it’s impressive what Ilabaca has done with all of these wines! One thing I love about Santa Rita is their work with Carménère, a variety that should be better known. Cuttings of this cultivar were brought to Chile from Bordeaux in the 1850s and for over a century, most wineries thought this plant was Merlot. This mistake was finally recognized in 1994 and wineries have been labeling the wines made from this variety correctly ever since. But for those waiting to witness a new wave of excitement with Carménère, well, it just hasn’t happened. There are two main reasons for this, the most important being the imperfect guesswork done with this variety. Much of the plantings were in zones that were too cool; now growers and enologists have discovered that Carménère works best in warmer zones, which helps promote ripeness and lessen the green, overly herbaceous character. A second reason has to do with marketing as some in the industry have recommended to Chile’s producers to focus on Sauvignon Blanc and Cabernet Sauvignon and not worry about Carménère. Well, I think this “keep it simple, stupid” philosophy is a dumb one, especially when you taste some of the best examples of Carménère from Santa Rita and other producers. The Medalla Real bottling from 2007 has aromas of black plum, molasses and tar and offers a rich mid-palate and a long finish with round elegant tannins. “Carménère has a lot of tannins,” says Ilabaca, “but they are silky and not overly aggressive.” Ilabaca has also produced a premium Carménère called Pehuén, blended with 15% Cabernet Sauvignon and also uses Carménère in a gorgeous red known as Triple C, a blend of Cabernet Franc, Cabernet Sauvignon and Carménère. Clearly Santa Rita is one of the leading proponents of Carménère in Chile; they should be commended for ignoring marketing suggestions and proceeding with the necessary research for this important variety. One final wine from Santa Rita that deserves mention is the Casa Real, a Cabernet Sauvignon made from the oldest vineyards (average age 45-50 years) on the Alto Jahuel property. Winemaker Cecilia Torres led me through a tasting of four vintages of this glorious wine, from the current 2005 offering back to the 1995 bottling. 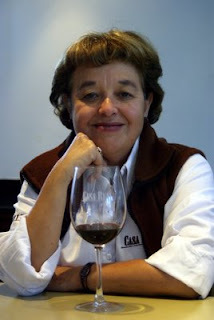 She mentioned that the Casa Real wines of the 1990s were affected by the El Niño conditions which resulted in droughts throughout Chile (especially severe in 1999), yielding wines of a more powerful nature than normal. Torres told me that she always aims for “elegance over opulence,” so she prefers the recent releases. The 2005 (US retail, $75) is a gorgeous wine with beautiful red plum, cassis and cedar aromas, excellent depth of fruit and a beautifully structured finish; I look for this wine to be at its peak in 12-15 years. Elegance is indeed the key to Casa Real and to the Santa Rita philosophy. How lovely a thought to consider while having your appetizers of local seafood on the patio at the estate's restaurant. You know, the people that run Santa Rita have got their priorities straight – wine and food provide harmony in our lives. Some wineries may live and die on magazine ratings, but not Santa Rita. The Etna district in eastern Sicily is home to some of the most interesting red wines in all of Italy. This is a DOC zone where two red varieties, Nerello Mascalese and Nerello Cappuccio are dominant. Many estates here have very old vines of at least 50 years of age, while there are a few 100-year-old plantings in the area. At the new Tenuta di Fessina, owner Silvia Maestrelli (pictured at left, Photo ©Tom Hyland) purchased an existing estate with beautiful old vines (most planted about 80 years ago) and is now producing some beautiful reds from this area. The 2008 basic red receives no oak; this wine called Erse has delicious red currant fruit, soft tannins and is quite charming. 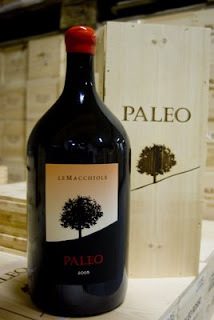 The other called Musmeci is more robust with ripe morel cherry fruit, but still quite elegant and has plenty of spice. Look for this to be at its best in 5-7 years. I met my long-time friend Mario Schwenn (pictured left, Photo ©Tom Hyland) on my trip; having known him entirely from his days at Dievole in Chianti Classico, seeing him in Sicily was a pleasant surprise. He was premiering his 2007 Chardonnay named Laudari for his new Sicilian project Baglio del Cristo di Campobello. The Chardonnay is quite rich with ripe golden apple fruit and features spicy oak, which is more noticeable in the nose than on the palate. This has deep concentration and needs a bit of time to settle down; it should be at its best in 2-3 years. Schwenn has also produced a 2007 Syrah named Lusira and a red blend named Adenzia consisting of Nero d’Avola, Syrah and Cabernet Sauvignon. I didn’t taste these wines, but given Schwenn’s passion – along with the winemaking expertise of Riccardo Cotarella – I’m sure these releases will be something special! Bolgheri is world-famous for wines such as Sassicaia and Ornellaia, but there are numerous examples of local wines that are very well made and are waiting to be discovered. Many of these are noteworthy values, with a few of the wines coming in at less than $20. I love finding wines like this; I think the vintners of Bolgheri need to get the word out that not every red wine here sells for more than $150! To that end, I visited three lesser known estates in Bolgheri on my recent trip. Guado al Melo, owned by Michele Scienza is a small estate with impeccably farmed vineyards and a striking underground cellar that meshes beautifully with the local landscape. 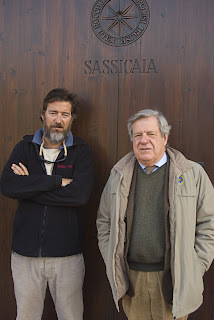 Scienza, whose father Attilio is one of Italy's most respected wine teachers and historians, produces a nice range of wines including a beautiful white made from Vermentino and an obscure French grape named Petit Manseng. I tasted several vintages of this wine, including the 2002, which offered lush tropical fruit flavors and deep concentration; this is showing nicely now and should drink well for another year or two. 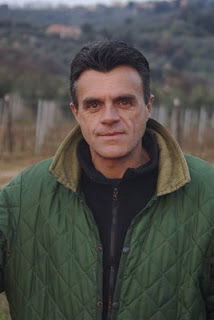 Enrico Santini is a name you may hear more often in the near future, given the quality of his wines. Literally making wine out of his garage near the town of Castagneto Carducci, Santini is equally at home with white and red wine. His white, a blend of Vermentino and Sauvignon known as Campo alla Casa, has beautiful spearmint and pine aromas with very good depth of fruit and finely tuned acidity. This is a very enjoyable glass of wine on its own; for food pairing, try it with shellfish. 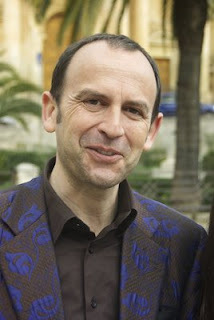 It is his Bolgheri Rosso known as Montepergoli that is quietly putting Santini among the area’s best vintners. The current bottling is from 2004, a great vintage and the wine delivers all it promises. The aromas are room-filling, with notes of dark chocolate, mocha, marzipan and black cherry. Full-bodied with excellent concentration and great fruit persistence, this is headed for its best showing in 20-25 years. The 2003 from a difficult vintage is starting to round out nicely and is much more elegant that many similar wines from that torridly hot year. I tasted the 2001 Montepergoli recently and was thrilled with its development. Now the 2004 has arrived and in my opinion this offering can stand with the best red wines of Bolgheri. The wine will arrive in a few months in the States; Vintus is the national importer. Great news is that you won’t be paying an arm or a leg for this wine! Finally, I visited Tenuta di Biserno, the new property of Lodovico Antinori, founder and former owner of Tenuta dell’Ornellaia. The estate is located just outside the Bolgheri DOC area near the town of Bibbona, but shares many of the same soil and climatic conditions of the famous Bolgheri estates. 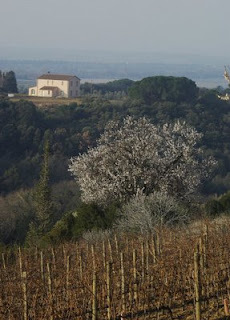 Three wines, two IGT Toscana and one Bolgheri DOC wine are currently produced here with another premium red in the plans. The Insoglia delle Cinghiale is a blend of Syrah, Merlot, Cabernet Franc and Petit Verdot. The new 2007 offers plenty of fruit, excellent complexity with very subtle wood notes. Nicely balanced, this is meant for consumption over the next 5-7 years. 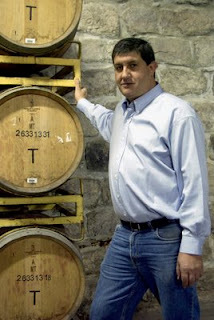 (Wilson-Daniels is the national importer for Tenuta di Biserno; the 2007 will not be available until the fall; the current 2006 bottling of Insoglio, also excellent, is $34). The Bolgheri Rosso known as Coronato, is produced from a nearby vineyard in the Bolgheri DOC and has the typical ripeness and power one expects from a top-flight red of this district. Black licorice, black cherry and bitter chocolate aromas are backed by a generous mid-palate and a well structured finish. Look for this 2006 to be at its best in 12-15 years (the outstanding 2005 is the current release and retails for $70). Finally, the top wine of the estate (for now) is the Il Pino rosso. This blend of 35% Cabernet Franc, 32% Cabernet Sauvignon, 25% Merlot and 8% Petit Verdot offers beautiful structure, tons of fruit and refined tannins, with an earthy finish; look for this to be at its peak in 12-15 years. Antinori is banking on Cabernet Franc to be perhaps the best-performing variety at Tenuta di Biserno, as he believes the soils at his estate are best-suited to bring out the spice and complexity of this variety. The 2006 is currently available at $82 per bottle. Look for the premium estate red from Tenuta di Biserno to be released in the fall of this year. 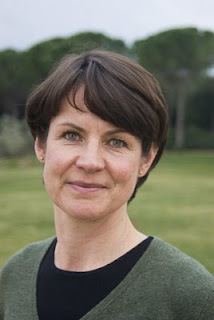 Based on what winemaker Helena Lindberg has accomplished so far, I’m looking forward to this wine! Come we now to Montalcino, belfry of Southern Tuscany, land of surprises. Full many a first-timer in Italy heads straight for Chianti: Limitless media coverage has led him to believe that Italy is Tuscany and Tuscany is Chianti. Never mind: He benefits greatly from Italy's civilizing IV-drip of culture--landscapes that are the backgrounds of Renaissance portraits; vineyards in which, Ruskin said, "the vines with their young leaves hang as if they were of thin beaten gold"; meals that are emotional experiences. Back home, his tuscanized soul goes into mourning. By winter, if his winter is not a season but a curse, he leans toward suicide. Rallying, he nips off to Barnes & Noble to buy the coffee-table likes of "The Tuscany I Love," "Hidden Tuscany," "Secret Tuscany" and "Enchanted Tuscany," plus two cookbooks and a calendar for lagniappe. These he lays by the fire, where soon thereafter he lays himself and a bottle of wine. Begone, gray melancholy! Away dull care! By turning pages and sipping wine he is returned to Eden. Then something clicks and he asks himself "What Tuscany is this?" Vast horizons; gentle hills rolling like ocean swells; the hillock with its single lonely cypress are all so magnificent--but utterly unfamiliar. Here's the surprise: Chianti is too hill-hedged for panoramas; it's southern Tuscany that gives grandeur and poetry to coffee-table books, and Montalcino is its portal. Go there soon as you can. I went for the anteprima, which is called Benvenuto [welcome] Brunello, and the wine returns the favor. There were 146 '04s to taste in a mere two days, plus a batch of '03 riserve, '07 Rosso di Montalcino by the long ton and '07 Sant'Antimos both red and white. More wines came from producers who hunted down journalist-victims (very willing ones, I might add) for lunches and dinners. So many wines--so little time! So here I plead with the Consorzio: Add another day to this event, please! How good is the ’04 vintage? Some Ilcinesi grumbled about Gambero Rosso's snub: Biondi-Santi got Brunello’s sole Tre Bicchieri gonfalon this year, and it was for an '03. Producers hereabouts have been used to collecting almost a dozen a year. Not to worry: '04 is good, very good and damned good. And after the disappointments of '02 and '03, a little hype (aggressive enthusiasm, maybe?) was inevitable and is excusable. Really, there was an awful lot to like at the Benvenuto. Three bottles that took me especially are all from women producers--Giovanna Neri, Bruna Baroncini and Candace Máté. Donatella Cinelli Colombini, Argiano and Banfi also came up trumps. In a stroke of luck, so did several producers whose confusible names keep many of us guessing. For '04, at least, it's not critical to distinguish among Palazzone, Palazzo and La Palazzetta, or Ferrero from Ferro. 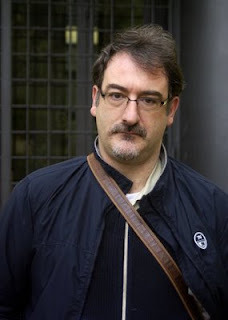 Same goes for La Campana, Capanna, Capanne Ricci, Caparzo and Caprili; Col d'Orcia, Coldisole, Collelceto, Collemattoni and Il Colle; Siro Pacenti and Pacenti Franco-Canalicchio and Canalicchio di Sopra; and Le Chiuse and Gianni Brunelli-Le Chiuse di Sotto. In the end, there was an embarrassment of riches: Pian delle Querci, Greppone Mazzi, Oliveto, Terre Nere, Tiezzi, Uccelliera, Ventolaio, Belpoggio, Bolsignano, Campogiovanni, Cantina di Montalcino, Casanuova delle Cerbaie, Casisano Colombaio, Castello Romitorio, La Serena, Castello Tricerchi, Castiglion del Bosco, Fattoi, Le Ragnaie, Fuligni, Il Marroneto, Il Poggione, Innocenti, L'Aietta, La Fortuna, Mastrojanni, La Gerla, La Lecciaia, La Magia, La Manella, La Velona-Monade 90, Lambardi, Le Gode, Le Ragnaie, Lisini, Marchesato degli Aleramici, Mocali, Ciacci Piccolomini d'Aragona, La Serena and Scopone. Surely there are more: Colleagues applauded Niccolai-Podere Bellarina, Poggio Salvi, Abbadia Ardenga, Altesino, Castelgiocondo, Pianrosso, Donna Olga, La Fiorita and La Togata, and I really couldn't argue. This vintage is easy to like, and I include the above because I'd rather err on the side of caution. After all, we're judging infants, and under extreme conditions: again, so many wines, so little time. Then consider externals and mundanities: gossip and rumor; last night's too-long/too-wet dinner; the tanti expressi needed to restore life next morning. Is judgment affected by online peeks at the plummeting Dow? By a tasting tent so cold you could hang meat in it? A call from your divorce lawyer? Your wife's divorce lawyer? Still, many writers manage to arrive at precise numerical ratings (even very precise: I saw one fellow using half-points!). That's an achievement, I’m sure, but I am nagged by the belief that a man who would rate wine would rate women and deserves neither. As for visiting Montalcino, by all means, do. Its encircling walls and looming 14-Century fortezza are largely intact, there are several good restaurants and, about every 50 feet, a Brunello-packed enoteca. All in all, rather impressive for a town of only 5000 or so population. Montalcino has dozed through most of its history, jolted awake only twice by events of moment. In 1260 a Florentine host of 35,000 swooped down toward Siena bent on conquest. Although greatly outnumbered, the Senesi and their allies triumphed at the battle of Montaperti. Montalcino, as one of those allies, was numbered among the victors, if only technically. The battle lasted all day but the Ilcinesi managed to arrive when it was over. Troops retiring from the field scoffed, shouting at them "Becca morti!" That means "pick up the dead" or, freely, "undertakers." Even today Ilcinesi are sometimes called Beccamorti by those who are looking for trouble. Then back to bed for nearly three centuries until, in 1255, "the Medici thief" led another Florentine attack on Siena. The government upped stumps and fled to Montalcino, where the Republic of Siena in Montalcino was declared. Besieged, the Ilcinesi held out until nearly starved out in 1259. The fortezza, at the south end of town, gives glorious views from it ramparts and glorious glasses in its well-stocked tasting room; a few yards beyond is Sant'Egidio, a frescoed church containing remnants of the Republic's glory. Opposite is the town hall. One look at the distinct design of its slender tower tells you that Montalcino was--once--part of Siena. There are hotels plain and fancy as well as affitta camere (one of them in a converted cantina) and, in the countryside, farms offering agriturismo. _There are two hotels just south of the town, the Bellaria and the (to me) unacceptable Al Brunello. For max luxe, keep going south to see the elegant rooms offered at Castello Banfi, which is just a few miles farther on a panoramic road (castellobanfi.com). 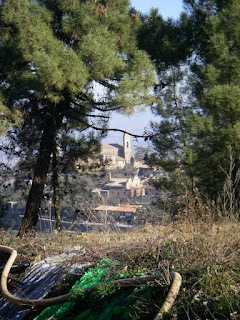 Nearby: the splendid abbeys of Sant'Antimo and Monte Oliveto Maggiore; Sant'Angelo in Colle, a jewel of a hilltown; Buonconvento (see its small but beautifully preserved northen end and you'll be one up on those—i.e., almost everyone else--who dismiss Buonconvento as entirely modern, ugly and commercial); and Paganico, a tiny walled town, hardly bigger than a castle, that still sits bravely astride the road to deter any enemy troops advancing from the west. You might take a bottle Brunello and a picnic lunch to one of these sites. Or any of a hundred other. Ah to be in Bolgheri in February! February you say? While it’s a time of the year than can be a bit cold and overcast and while the buds have yet to bloom, it’s a great moment to be in this area. The air is crisp, the nights are clear and best of all, the tourists haven’t taken over the environs. So I get to visit estates, taste the latest releases and talk with the vintners, all at a leisurely pace. During my two full days in Bolgheri along Tuscany’s west coast, I worked in a nice mix of famous producers as well as some smaller, lesser-known ones. Tenuta San Guido, where Sassicaia is produced, Tenuta dell’Ornellaia and Le Macchiole fit the former description while Guado al Melo and Enrico Santini represent the estates that are not household names, yet produce some excellent wines, several of which are fine values. 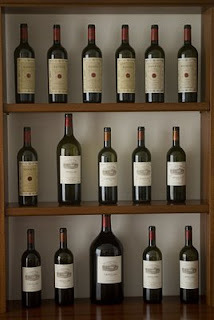 At Tenuta dell’Ornellaia, the signature wine also remains one of the best reds of Italy. This is a slightly different blend than the Sassicaia, as Ornellaia is a cuvée of 65% Cabernet Sauvignon, 15% Cabernet Franc, 17% Merlot and 3% Petit Verdot. As powerful as Sassicaia, it is a bit more polished than that offering. This is not to say the wine is better, it is just a bit more subdued in its approach, though hardly less powerful, as the new 2006 bottling will age well for 20 years plus. The second wine, “Le Serre Nuove,” a blend with a greater percentage of Merlot and slightly less Cabernet Sauvignon, is a marvelous wine with sumptuous aromas, great complexity and marvelous Bolgheri terrior. Retail prices vary for any wine in the United States, but I’ve seen an average price for this wine between $60-$65, making this a relative bargain. It’s a wine you can store for 7-10 years and it’s a great choice to show off Bolgheri without getting into $100 and higher. One final note from Ornellaia and it’s the 100% Merlot known as Masseto, produced from a gorgeous 18 acre vineyard at the estate. This is a magnificent wine, full-bodied with tremendous concentration and remarkable structure. It’s a good a Merlot as I’ve had from anywhere in the world; I expect the 2005 bottling to be at its best in 25-30 years. Some writers have compared this wine to Chateau Petrus; while I rarely get a chance to try that wine, I’m not about to argue with this assessment. It’s difficult to find this wine, as most of it goes to a few select restaurants and it is quite expensive – it retails for over $300 a bottle – but it is one of the world’s great red wines. I mentioned the big boys of Bolgheri, but you need to add at least one dynamic woman to that list. Cinzia Merli has been running Le Macchiole for several years since her husband passed away and she has performed her duties brilliantly. Her wines are beautiful with deep fruit and elegant structure and most assuredly belong in any discussion of Bolgheri’s best. 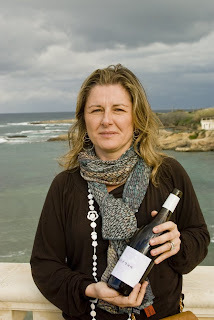 She has been producing 100% varietal wines for some time now; according to regulations, she has had to label them as IGT Toscana Rosso, as Bolgheri DOC wines must be blended. But now these laws are changing and Merli will be able to sell these wines as Bolgheri DOC. These include Scrio, made exclusively from Syrah, Messorio, a monovarietal Merlot and her finest wine, Paleo produced solely from Cabernet Franc. This last wine (2005 is the current release) is a superior effort with enticing aromas of lavender, pink peppercorn and chocolate and excellent depth of fruit. 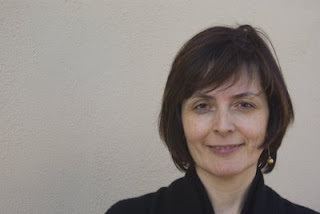 Cinzia Merli is such a delightful person – it’s so nice to see her doing so well!